Weekly Ramblings: Round 6 - Divassence! I’m starting off this week’s post by telling you about something that brought back the child in me and also satisfied the makeup lover in me. You know how we always find something that excites us at the cash counter and end up buying it ? This was one of those. I bought two of these just for the cute packaging and I was curious to see how it looked inside. 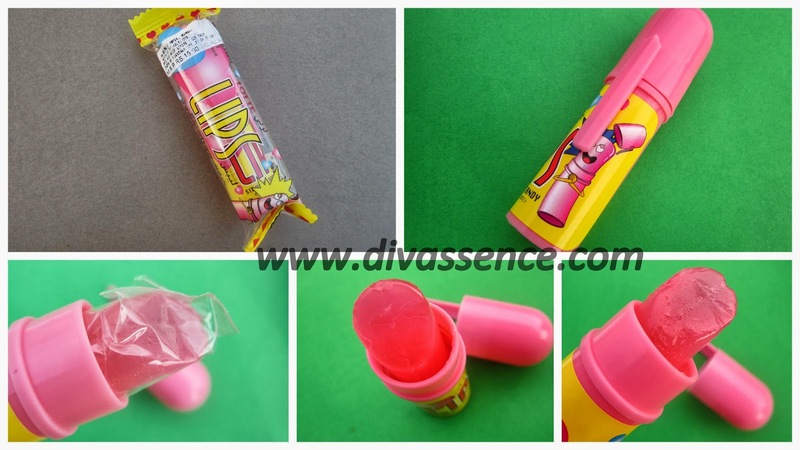 The outside packaging was supposedly that of a lipstick and the candy inside was shaped like a lipstick bullet. How cute is that! And the candy tastes AMAZING and is quite addictive!! It looks mostly opaque when opened but turns into this translucent beautiful pink (did I just say beautiful pink??!!) as the quantity decreases and no, you don’t bite it off and make the whole experience miserable for yourself. Not happening. I wish this was also available in orange though. And thankfully this doesn’t make my lips or tongue pink so that’s awesome. I so badly wanted to show how my mom hoards and partly blame her for all the hoarding I do! 😉 This incident happened at the time my mom got married. Horlicks used to be sold in glass bottles which is fabulous for storing groceries in the kitchen. These bottles were apparently a huge rage then and was in great demand! See the picture and you will understand why!! My mom has tons of these and also smaller versions of these (so does my grandmom!!) and she has had it for more than 25 years now!! She used to buy them in bulk and also a shopkeeper she knew used to give her these bottles because my mom used to buy groceries regularly from that store! Talk about awesome kitchen organization! Ever since I discovered Peanut butter in the US on my visit there in 2003, I’ve become a huge fan. Give me a jar of Peanut Butter and I’ll survive a day without anything else! And do I need to say anything about Nutella at all?? This month, if you’ve been regularly reading the blog, you’ll know it is the Brit Brands month. I’m afraid it might spill over to the month of October since there are so many posts pending!! But meanwhile I’m also in the process of comparing a few products and preparing posts on them so that it gives you a clear picture on which one is better. You may also like reading: Weekly Ramblings: Frshly on the go! 😀 😀 they are so worth it!! Loved how ur mom has organised and used the horlicks jars…i love nutella too! and look at that candy!! nutella and Jif, my GOd …indulgences!! 😀 living life to the fullest! 😀 And btw lovely display pic <3 you look gorgeous! aww lipstick candy is really really cute…my mom used to do same thing with horlicks jars.